Manchester Theatre Award winners Lass Productions are back with their first show since leaving the Lass O’Gowrie and the clock is ticking..
Othello has been transplanted to the modern day and into the backstabbing boardrooms of Venezia FC – a platform Lass Productions believes is more relevant than ever for Othello’s immortal themes of professional jealousy, reputation, rage and destructive ambition. But it’s not only this new adaptation that’s making waves in Manchester. In a Fringe first for Manchester, there’s also the chance to get your hands on some exclusive merchandise or bag yourselves some front row tickets. No doubt many of you will be familiar with the concept of Kickstarter. A funding platform for creative projects, it’s seen films, games, music, art and gadgets funded through the platform its inception in 2009. It’s certainly an innovative step for theatre in Manchester. But Fringe theatre, whilst not under threat as such, is being squeezed. As Fringe productions become more lavish and elaborate, theatre companies need to find other ways to diversify and attract audiences. Kavanagh has hired long term associate and designer Colin Brockhurst (of Doctor Who fanzine Vworp! Vworp! fame) to design some desirable collectibles. This innovative approach, not just to extending the production beyond the stage, but to bringing Shakespeare to the Fringe in the first place, has always been a hallmark of Lass Productions and as they launch into the post-Lass era, that innovation is very much at the forefront of everything they’re doing. With a stellar cast including Wine of India’s Taran Knight and Morag Peacock reuniting alongside Hannah Ellis (The Best), Eryl Lloyd Parry, Liam Grunshaw, Vicky Burrows, Francene Turner, Fabrisse Pikondo, Roisin McCusker, Dru Jones with George Olyunka as Othello. 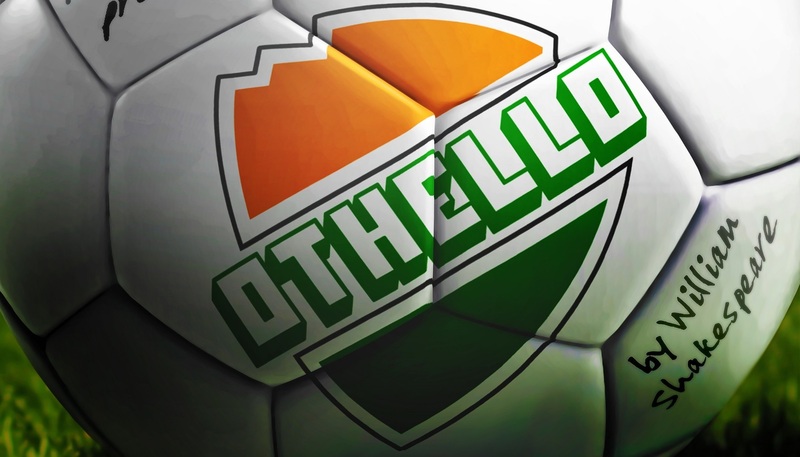 You can pledge your support over at the Kickstarter page for Othello. I’ve got to confess, I quite fancy the retro Panini-style stickers myself..
Othello premieres at Gullivers in Manchester’s Northern Quarter on September 22. Early bird tickets are available now for a mere £6 from WeGotTickets.